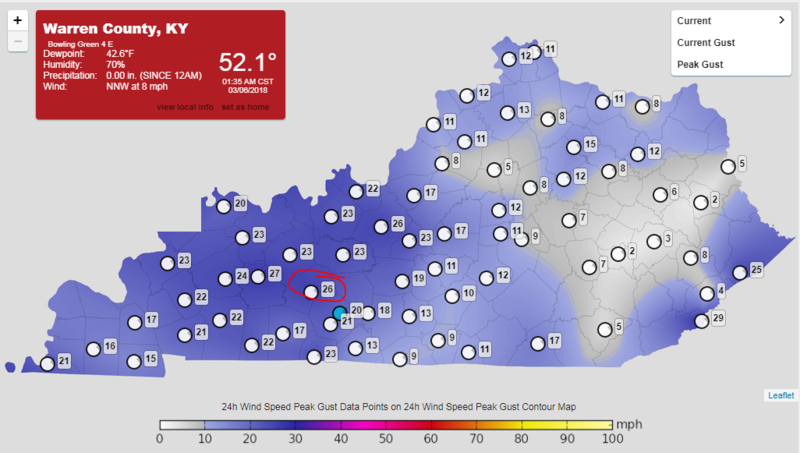 h/t kymesonet.org We have already had a wind gust of 26 mph in Butler Co. since midnight. Good morning south-central KY. The National Weather Service has issued an advisory for 40-45 mph wind gusts, so nail down the trampolines! While reaching a high in the mid-60’s, prepare for conditions to be breezy today, cold snap coming overnight, and a chance of flurries later this week. 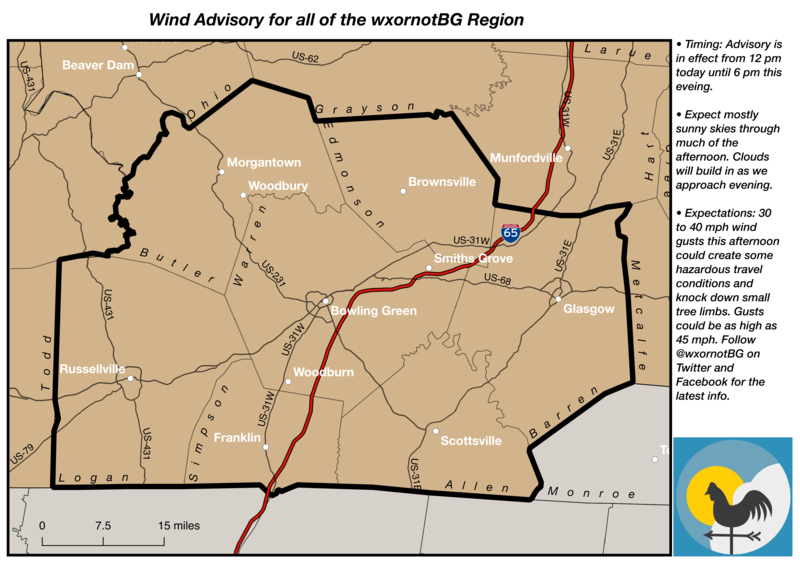 There is a wind advisory today from noon until 6 pm. h/t giphy.com Only you can prevent trampolines from becoming UFO’s. Tonight our next cold front will blow through dropping our temperatures like an overweight man jumping from a mini-tramp. Rain showers are likely to start around sundown before changing to flurries near midnight tonight. Low temperatures Wednesday morning will bottom out in the mid-30’s. h/t pivotalwx.com (0z NAMnest) Model run showing precipitation for 3pm Tues. to 9am Wed. In this model notice the counterclockwise spin of the bands characteristic of low pressure system. Looks cold. Bowling Green’s average high for this time in March is in the mid 50’s. Tomorrow and Thursday’s highs are in the low 40’s which are normal for the cold, icy depths of space, I mean January. On top of this we will probably see flurries and some light winds which will make the temperatures feel below freezing until Friday, which seems impossible. h/t giphy.com Snow in March, a sign of the aliens that are causing climate change. With the ground being quite warm, the light snow possible over the next three days will not accumulate, but everyone should bundle up come Wednesday–frostbite still hurts, even in March. Some indications predict that the temperatures will stay below average with more chances of snow into next week, so follow @wxornotbg for the latest updates. Stay frosty out there!